As the price of super-lightweight backpacking tents continues to rise beyond the budgets of many people, the ability of lower-priced tent manufacturers to come up with well-designed products is coming under the spotlight. 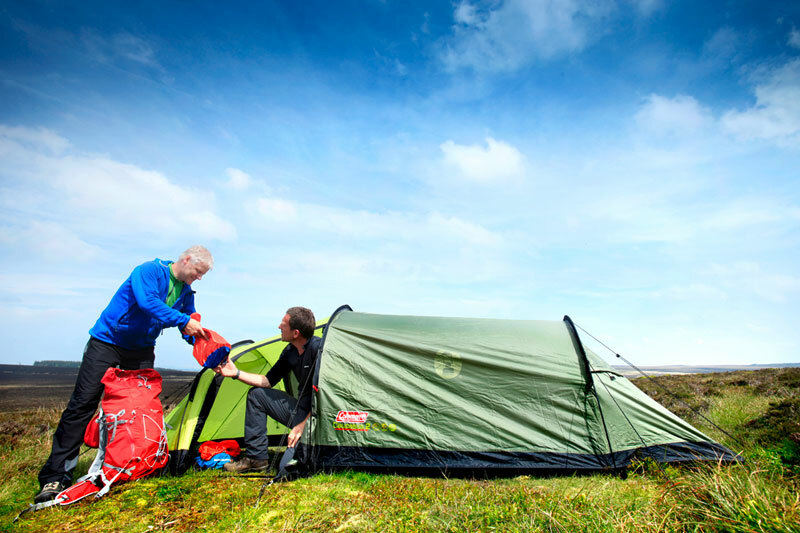 Coleman has released a range of backpacking tents with prices from £130 to £200, which is around half the cash being demanded by the superlight manufacturers. But how good is a tent that costs less than half as much as its competitors? The new range of Coleman tents is designed to be lightweight and compact, while offering good-quality materials and design at affordable prices. It includes the 2.4kg two-person Aravis 2 at £130, the 3.4kg Tatra 2 at £180, the 3.05kg Monviso 2 at £160 and the Caucasus 2 featured here which tips the scales at 3.15kg and has a price tag of £170. All of these tents also come in larger three-person versions. To put those weights into perspective, you could spend £765 on a Hilleberg Nallo 2 GT tent that’s the same size and shape as the Caucasus 2, but it would weigh just 2.8kg, saving you 350g – but each of those saved grammes would cost you £1.70! The two tents would have virtually the same packed size too, so you could fit them both in the same size and weight of rucksack. Of course every gram does count and if every item of kit was a few hundred grams heavier than it needed to be then you could end up with a very heavy load, so there will be times when it’s worth saving more weight if you can afford it. The shape of the Caucasus 2 is similar to that of many tents, with a large zipped opening on each side that gives access to the huge extended porch. This makes the tent ideal for base camp use as you can store loads of gear in here and still have space to comfortably sit out a storm. Other tents in the range offering smaller living space with the benefits of weight saving include the Aravis 2, which is a single transverse pole design with a side porch and side entry. Nice touches include the use of alloy poles rather than more fragile fibreglass. But the fabrics are ripstop polyester rather than ripstop nylon, which in theory would be stronger; though how strong do you actually need your tent to be for your camping needs? The inner door has a zip-out panel with a good midge net to keep bugs out, but the outer door has a single zip pull, so you can’t open the top of it as well, as you could with double zip pulls. Also, you don’t get ladder-lock adjusters on the webbing where the pole ends locate, which means the tent isn’t always as easy to pitch as it perhaps could be. All these details are more refined on some higher-priced tents, but is their benefit worth all that extra cash? The decision of whether the Coleman Caucasus 2 is right for you depends on how important the lower weight and the small design benefits are to you. That depends on where you camp, how often you camp and how far you need to carry this tent in your rucksack. 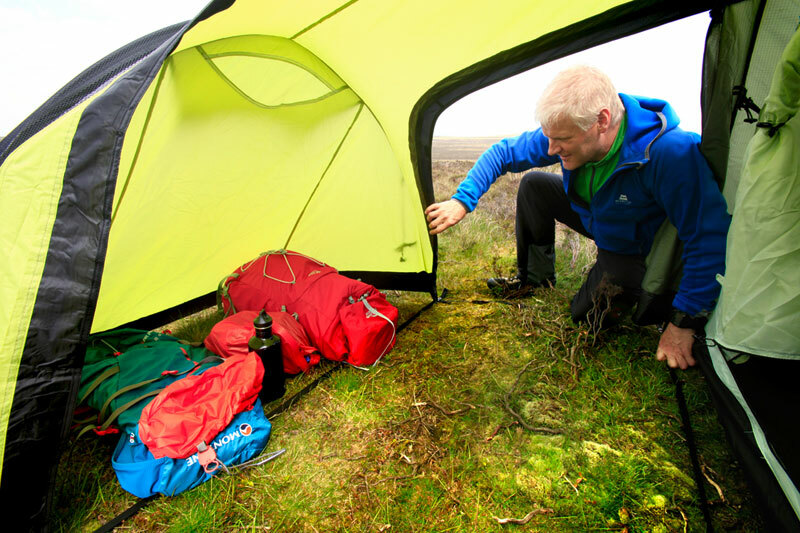 Overall I suspect that for many people the price, weight and perfectly decent performance of the Caucasus 2 will be ideal for ensuring a comfortable night outdoors. Low-priced tents can’t compete with higher-priced rivals in terms of their low weight, but in terms of features and gaining a comfortable night’s sleep they are excellent value. Indeed, the Coleman Caucasus 2 ideal for anyone on a budget.